For those of us in the Northern Hemisphere, March’s full Moon (which is today - March 20, 2019) is particularly special because it reaches its peak on the same day as the Spring Equinox - which is the start of the astrological year and the beginning of a new cycle. This full Moon is also a Super Moon, meaning the Moon will be nearly at its closest to Earth for the month of March. It’s the third (and final) of three straight full Super Moons we have had since the start of the year. 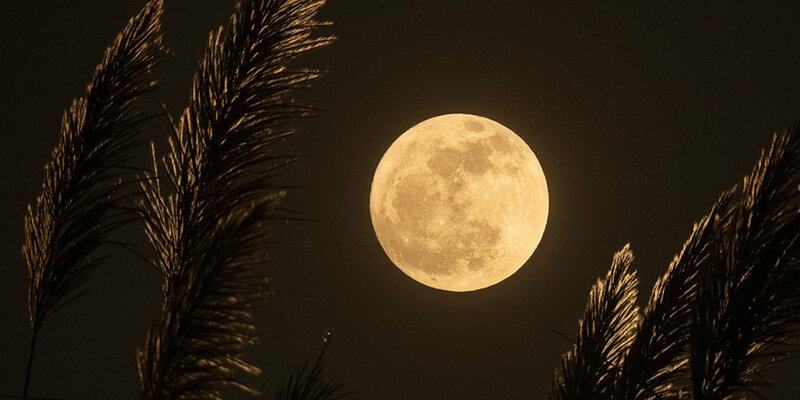 The energy of a Super Moon is like the Universe’s way of encouraging us to tap into our intuitive potential, reawaken our feminine side, and to release all that might be holding us back. Under these Super Moons, we have been preparing for the new chapter that is ahead. March’s Full Moon provides an opening to this new wave of energy. Traditionally, the Moon we see in March is also called the Full Worm Moon. At this time of the year, the ground begins to soften enough for earthworm casts to reappear, inviting robins and birds to feed - a true sign of spring. Roots start to push their way up through the soil, and the Earth experiences a re-birth as it awakens from its winter slumber. Just like the Earth, we can invite ourselves to enter into our own re-birth. In order to enter into the new, we have to purge the old. We have to be ready and willing to begin again. To return ourselves to ground zero. Zero is the number of infinite potential, and it’s no coincidence that the March Full Moon falls at zero degrees of Libra. At the time of the Full Moon, we will actually have three planets in the cosmos aligned at the vibration of number zero, which means the Universe is going to be blossoming with potential. Originally Taught in 1993. Can be found in The Aquarian Teacher Level One Instructor Manual. Put the hands flat together in Prayer Pose at the navel point. As the mantra starts with SA, RE, SA, SA start to bring the palms up the center front of the torso, about 4-6 inches in front of the body. 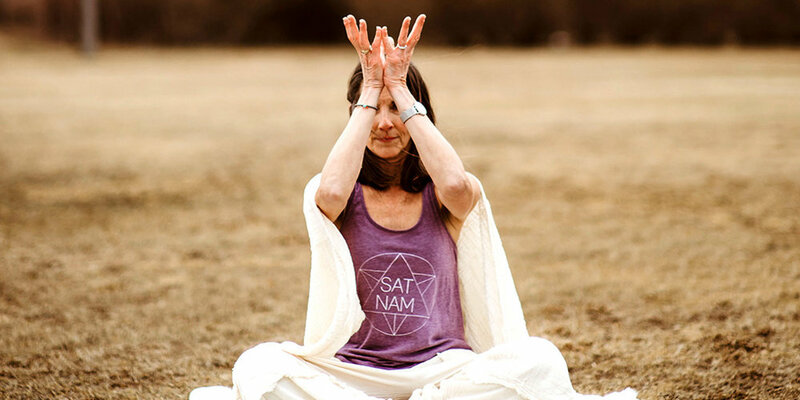 As you pass the Heart Center, begin to open the hand mudra to make an open lotus, by the time it reaches the level of the Brow Point. The open lotus has the base of the palms together, the little fingertips touch, the thumbs touch, and the rest of the fingers are spread open. As the mantra begins HAR, RE, HAR, HAR turn the fingers to point down, with the back of the hands touching - it is a reverse Prayer Pose. Slowly bring this mudra down the chakras in rhythm with the music until the fingertips reach the navel point on the sounds HAR, RANG. Then turn them around and begin again. Comments: This cycle of music and mudra is the key to opening the flow of Kundalini. The new awareness will give you the authority to make the right choices to conquer the ugliness of life. You will be peaceful and secure.